According to a study published by the National Alliance for Caregiving and UnitedHealthcare, those who care for elderly family members or friends think technology could make their responsibility easier. The study found that over 70 percent of caregivers think technology could save them time, manage the logistics of caregiving more easily, increase feelings of effectiveness as a caregiver, reduce stress and make the person for whom they care for feel safer. According to the study, 77 percent of caregivers want access to electronic medical records. This will give them the information they need to make better-informed decisions on patient care. Many patients see more than one physician, which can make keeping up with appointments, lab results, previous care and health history very difficult on the caregiver. Having online access to their loved ones health records would decrease the chance of missed appointments and errors in care. However, coordination of care for a patient between the doctor and the caregiver can be tricky, because doctors must first obtain permission from the patient that their caregiver can have access to their medical records. 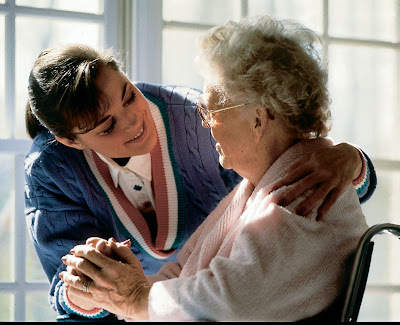 However, if the caregiver has power of attorney, this permission is not n needed. Medication compliance is a serious problem for many doctors. 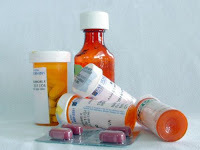 Many patients forget to take their medication or take it incorrectly. Some never even get the prescription filled. This can hinder treatment and can even make the health issue worse. Although patients with caregivers have a better track record for medication compliance, it can still be difficult for caregivers to make sure that their loved ones have correctly taken their medication. Many caregivers hold down full-time jobs and cannot be by the patient’s side at tall times. For this reason, medication compliance technologies could be used to help the caregiver ensure their loved ones are taking their medications properly. There are several smart-pill technologies on the market that doctors can suggest to caregivers. There are systems that provide audio reminders to patients and send alerts to caregivers when the pill hasn’t been taken. Currently in development is a technology that will send an alert to caregivers when a pill is being swallowed. To help caregivers who do not live with the patient, remote monitoring systems provide the ability to constantly check in on a patient’s condition when not present. Systems that monitor vital signs, blood pressure and blood sugar levels (and send that data via digital communication to the caregiver) can decrease emergency events between doctor visits. The VA Health Care system already uses remote monitoring to keep up with their patients’ conditions. They say that doing this has helped reduce hospital stays by 30 percent. Although these technologies would help caregivers, there are two roadblocks: cost and technology training. In order for these systems to do their jobs, caregivers need to know how to use them. Doctors would need to provide the training. Also, smart-pill technologies and remote monitoring systems can be expensive. In order for caregivers to use these systems, they must be able to afford them first. The use of these technologies will most likely increase over the next few years. The benefits of their use will become more evident, and insurance companies will begin to help patients pay for their cost. Author Bio: Mary Armstrong is a writer and editor for Medical Assistant Colleges. In her spare time, she enjoys writing articles for various other sites on various topics of interest.